LIMITED TIME OFFER! MOTHER’S DAY SALE ON ALL GRATIN PANS! All of our gratin pans will be 20% off from now until May 12, 2019. These beautiful pans, with their double handles and low curved sides, are easy to move gracefully around the kitchen and from broiler to table. You can also check out our gratin video to see it in action! 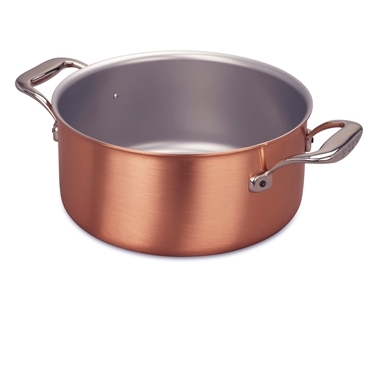 With a heritage that dates back to 1958, Falk Culinair’s mission has been simple: manufacture the highest quality copper cookware available that will provide superior performance, unmatched beauty and ease of maintenance. All of our cookware is handcrafted with care in Falk’s workshop in Wespelaar, Belgium by craftsmen with decades of experience. When you buy Falk Culinair, you can be confident that you’re buying cookware of unrivaled quality, performance and value. 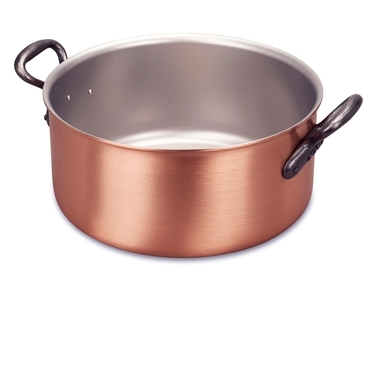 SIGNIFICANTLY reduced price to entice you try Falk copper cookware! 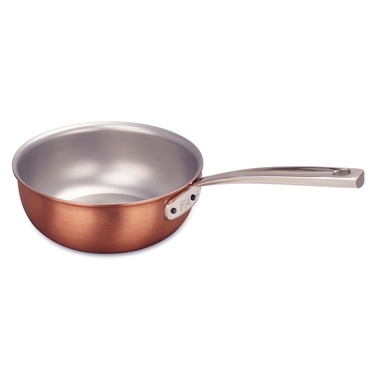 The curved profile of our saucier pan allows all ingredients to be fully incorporated as you stir and whisk your recipes. There is no corner to trap food or concentrate heat. It is perfect for roux, sauces, and reductions. This set expands on the Chef Set I. It has a roomy frying pan, a saute pan, two sauce pans and a dutch oven. Just image all the great cooking you could do if your kitchen were outfitted with this comprehensive set! 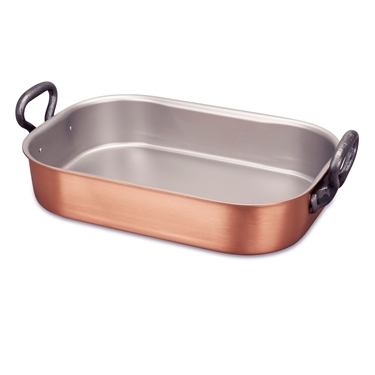 The low sides of this pan create ideal roasting conditions. 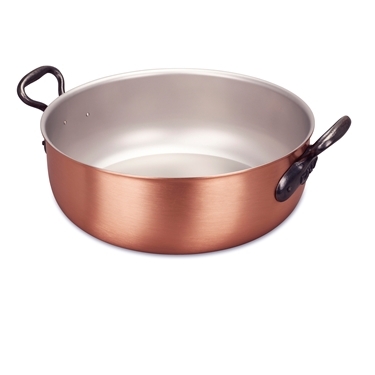 The copper construction allows for proper stove top browning and de-glazing. Carmelization, or browning, is the result of proteins in meat breaking down at high temperatures, adding depth of flavor. This process is effortlessly achieved in our splendid roasting pan without scorching. Deglazing the pan for sauce and gravy is also accomplished with ease due to the brushed surface of the stainless steel interior and even heat across the entire pan. Our gratin pans provide exceptional versatility. Low flared sides promote the gently browned crusts of au gratin recipes. It also performs well as double handled frying pan. The oval shape accommodates foods such as whole fish, too! Finally, the two loop handles allow you to use your gratin pan as an attractive serving dish straight from the stove or oven. This set covers all the basics! 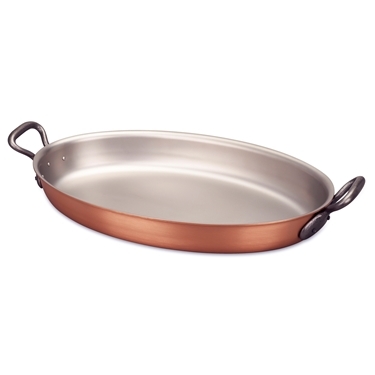 With a saute pan, sauce pan and dutch oven, you will be introduced to the many ways these copper pans excel in the kitchen. 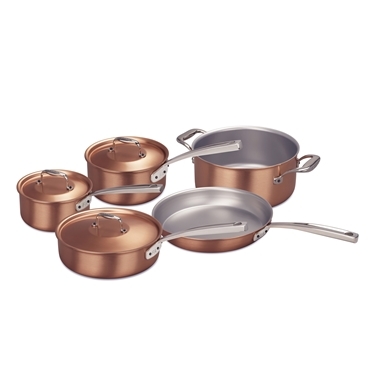 It would be a great start to a complete collection of Falk copper cookware. 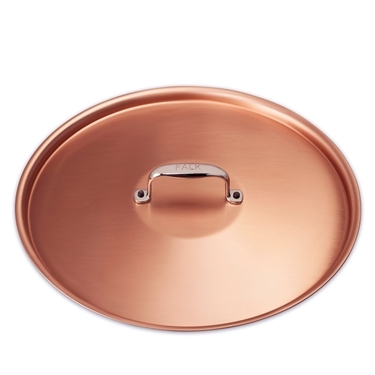 Falk covers are crafted with care to fit all of our cookware at the same diameter. Our stew pans have a multitude of uses; from simmering sauces to producing thick, flavorsome stews. The curved silhouette provides ideal conditions for perfect reductions, thick gumbos and intensely flavorsome sauces. The high straight sides of our sauté pans maintain even heat and regulate moisture for perfect sautés every time. The objective in a sauté is to cook food over high heat; retaining texture, flavor and- most notably- moisture. The word itself means, “jump,” referring to the action of the food particles sizzling in the pan. 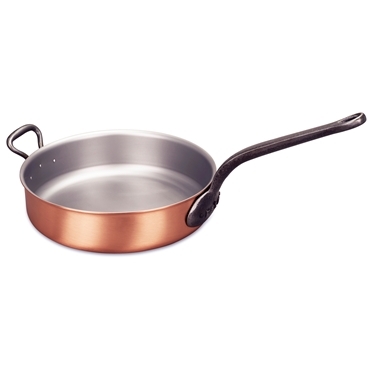 A range of frying pans to give you the perfect size pan for any recipe. 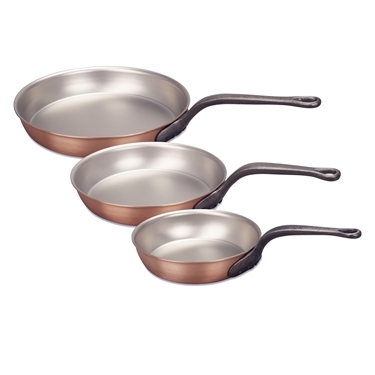 Imagine having these three pans at the ready in your kitchen. Hand-crafted in Belgium, these pans are the tools of choice for discerning chefs around the world. 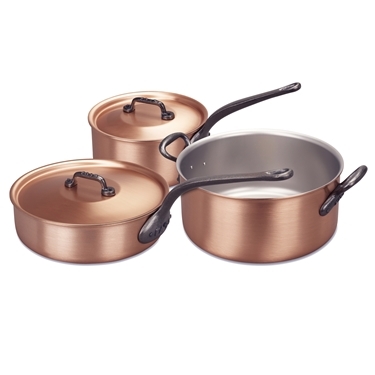 The 2.5 mm copper and stainless steel bi-metal cookware provides professional performance and a luxurious look. They are perfectly suited for your restaurant or home kitchen.